Are you looking for fun and inspiring ways to attract potential shoppers to your shop? Consider this straight-up advice for pinning like a pro. Pinterest is fun, easy to use, and as any frequent pinner will tell you, even a bit addictive. Millions of people use Pinterest every day to explore their interests, find products to buy (like yours), and connect with people who share similar interests. The more people pin, discover, and repin your products, the more likely new customers will be to discover your business. Use these tips to join the pinning party and promote your brand on Pinterest. Create a range of boards that showcase your shop’s personality and taste, and make sure each board has enough pins to make it feel substantial so pinners will feel like it’s worth following. Give your boards clear names so people can instantly understand what’s on them. But don’t be afraid to get creative—just keep names to 20 characters or less so they don’t get truncated. Categorize each board and include a description, as this can inspire people to follow your boards and help you appear in searches. For each board, pick a compelling cover pin that quickly gives people a visual sense for that board—often the one with the most repins works well. You can connect your Pinterest account to Etsy's social media tool to share right from your Shop Manager. At Etsy we use clear, descriptive board names to organize our pins. Try to pin at least once a day so your followers get fresh content in their home feeds. You might also want to pin throughout the day instead of all at once. And don’t feel like you need to just pin your own stuff. You can tell a much richer story about who you are, what your shop represents, and what inspires you by including pins from others. You can even use pinning as a way of telling stories about your products. Pinning a handful of pins that together tell a fuller story can capture the imagination and help you make a deeper connection with pinners. For example, a shop that sells women’s coats might pin a product photo alongside pins of beautiful winter scenery to help inspire pinners about the magic they can experience outside in wintertime. But remember that most people are probably going to see the pins individually as they discover and repin the individual pins they like best. Just like with boards, thoughtful descriptions will make your pins more inspiring and searchable. So take a moment to write descriptions for everything you pin. 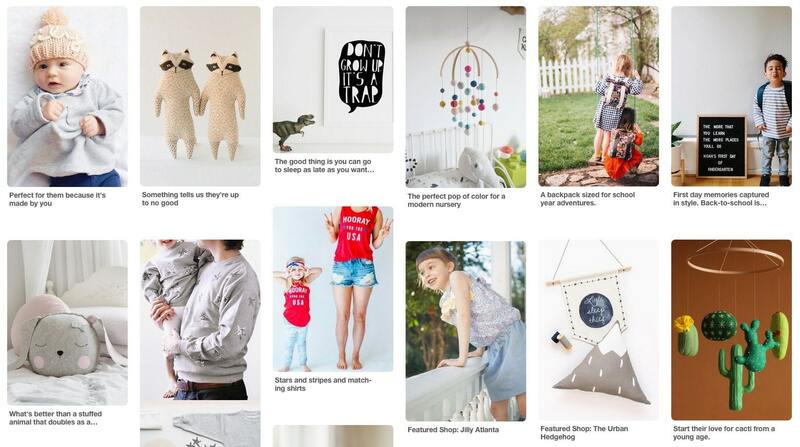 Etsy’s kid-focused board includes playful captions under each product pin. Creating boards for the ideas, places, people, and moods behind your brand is a good way to tell a more vibrant and well-rounded story. 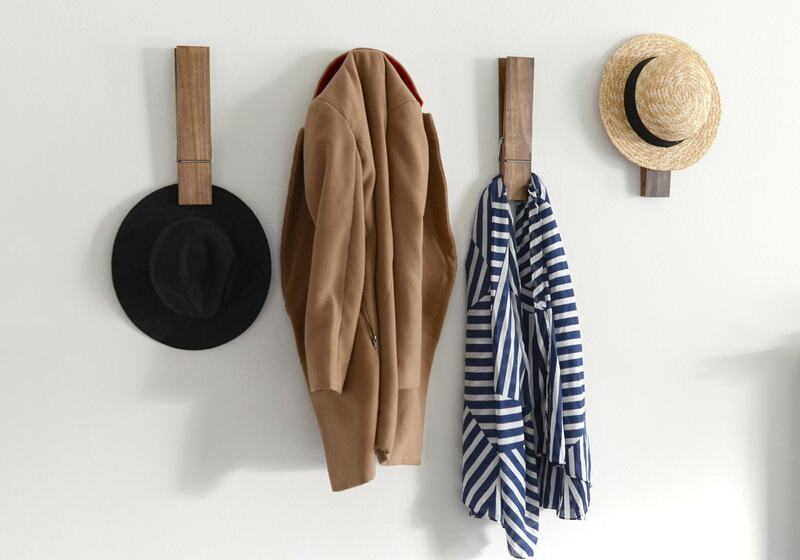 A great way to get people pinning your stuff is to be an active pinner yourself. Follow other people’s boards and then repin and comment on pins that inspire and relate to your shop. This will help people get a sense for what makes your shop special. What kinds of things should you repin and like? What should you say in comments? A good rule of thumb: Just be yourself. And don't forget to let your customers know you’re on Pinterest. When you exchange messages with them, for example, include a link to your Pinterest profile so they can follow you and repin your pins. Keeping an eye on what kinds of things people are pinning and repinning can help you stay on top of trends. You can also search for your products (and similar products) on Pinterest to see what boards the pins appear on, how they’re described, and what people pin along with your items. All of these insights will help you make smarter choices about the products you make and sell, and help you evolve your pinning strategy. Every pinner is unique, with personal interests and tastes. So no matter what you sell, there are pinners who would love to see what you have to offer. Every time someone makes a pin, their followers can see it, helping other people discover your business. If you’d like to learn more, check out Pinterest's business page, where you can find success stories, more tips, and a blog to help you stay up to speed on all things Pinterest. You can post to Pinterest right from your Shop Manager using Etsy's social media tool. Check it out.